Whenever someone is approached to try a new way of living you often heat the first question, WHY? Why should I adopt the Mediterranean Diet? It surely a surprise to us when people ask they should live a healthy life but nevertheless we tried to find some simple and logical reasons that you may use to convince people to live a healthy life! Mediterranean Diet is tasty, flexible, variable, cheap, healthy, fast and easy to make and much more! Read all about it below and decide for yourselves if it is right for you. Whether you are a vegetarian, pescetarian or have some sort of food allergy, Mediterranean diet is one of those diets that can be tailored and fixed for everyone. Although there are certain staples that form the foundations of the diet, those usually can be substituted to very similar effects. In addition to the low meat consumption in the diet, vegetarians or vegans can easily substitute it or gain their required nutrition from other sources present in the diet. Recipes for similar dishes vary across the entire Mediterranean. For example dolmades (or stuffed vine leaves) are made with mint and no meat in Greece while they include minced meat and no mint in Cyprus. Moussaka and Pastichio vary in different regions of Greece and also in neighboring countries. This means that although you may not like one way of cooking a particular dish but you may like it another at another region. The diet itself is cheap on principle as it is based on a few similar ingredients. This means that it can be easily done on a budget without compromise taste or quantity. Not only that but usually products have a longer shelf life and can be stored for a while. You can store legumes and olive oil and dried fruits for a long period. Research has shown that Mediterranean diet plays a significant factor in reducing heart issues, lowering cholesterol, act as antioxidants and also helping with irritable bowel syndrome. Due to the high fiber and complex carbohydrate content as well as the white meat preference and the legumes, helps Mediterranean diet users live a healthier lifestyle and provide a solid base for adapting it to your lifestyle. 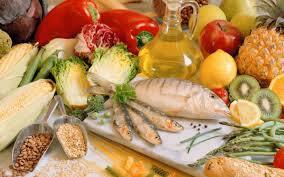 Mediterranean diet is a diet whose recipes comes in two forms. Dishes are either very fast to produce or take very long. Although as any Mediterranean local will tell you “food tastes better when it takes the proper time to be cooked”, most of the recipes can be made within 20 minutes thus giving you access to a quick meal when needed. Although some dishes require some sort of mastery to perfect, a lot of the recipes available for Mediterranean diet can be easily made and don’t require any advance knowledge of cooking to perfect. This means that recipes can be cooked by anyone at any point which makes it a great diet to put the family on. There are a lot of recipes out there from all sorts of Mediterranean countries. This means that you can go through weeks of different recipes without ever getting bored of eating the same thing over and over again. Enough research can produce over 100 different recipes from different countries thus adding a different cuisine to your kitchen every day. Due to the constant regime that governs the Mediterranean diet, weight management can be done very easily. By switching to the so called good fats of olive oil as well as whole wheat bread and potatoes your body is getting all the carbohydrates it needs that can be easily burned. In addition to that, the really low number of sweets and the high number of fruits means that you don’t get a lot of sugary desserts. An essential alcoholic beverage for the Mediterranean diet, wine is often the drink of preference when dining. Red wine has been found to be good for heart disease and white wine is often considered a good antioxidant. Wine is usually served 3 times a week in moderation and it complements the food greatly. Most places will usually have a dish that follows the Mediterranean diet. Although it may not be strictly to the letter, it means that you won’t have to limit your outings to Mediterranean restaurants only. This way following the diet won’t impede on your social life. Mediterranean diet is meant to be shared. In a traditional Mediterranean cuisine and feasts all involve a large variety of dishes shared equally amongst friends or family. Cooking for them will mean a huge meal that everyone can enjoy and savor. With the flexibility of the diet you can also include vegetarian friends as well and you can make a great party. So we have given you 12 reasons to love and adopt the Mediterranean Diet. We are sure that you can think of or find many more. The reasons are there. It is a 4000 year old diet with proven benefits. What more is needed for someone to be convinced?